A loan of $2,300 helped to cover land cultivation works and purchase grapes to store for later sales. Aghavni is married and has a 24-year-old married child. Her husband is a teacher at a local school, and Aghavni is involved in agribusiness. She owns a commercial refrigerator where she keeps fruits for resale. 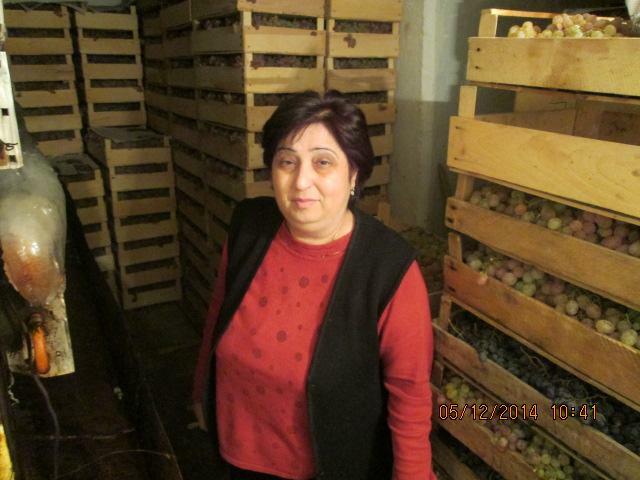 Aghavni specializes in keeping and selling grapes. She asks for this loan to cover land cultivation costs and to purchase grapes to sell.